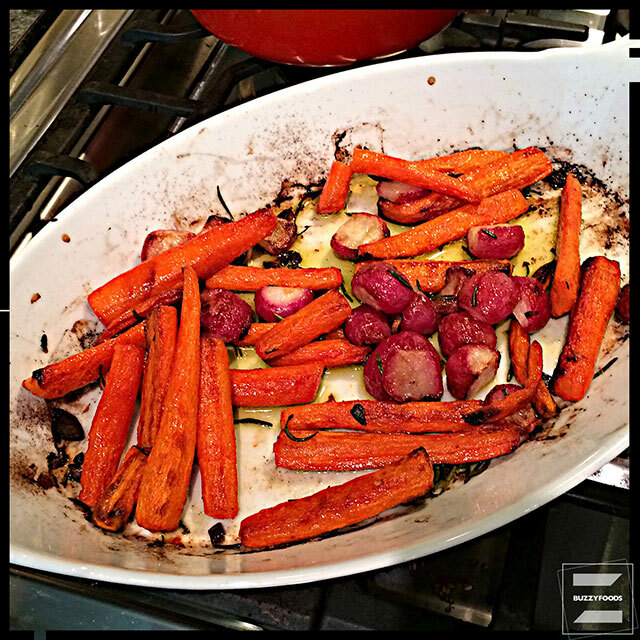 ‘Tis the season (or at least getting there) to be thinking of oven roasted veggies, and I was thinkin’ of carrots and radishes and, with a little help from The Autoimmune Paleo Cookbook (THX, Kirsten! 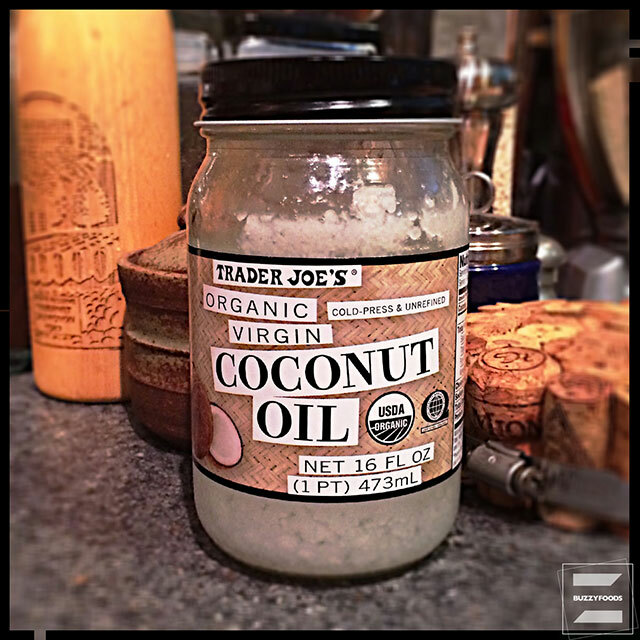 ), I was also thinkin’ of garlic and rosemary and coconut oil; all good things that were also good for folk with dietary restrictions. I roasted these veggies a day ahead and set them out at room temperature as a munchie option for a gathering, and they were lovely. Think how much better fresh from the oven? *Use as many carrots and radishes as you like, then adjust your oil, rosemary, salt and garlic as needed – mebbe two tablespoons of coconut oil to 1-1/2 pounds of carrots and a dozen radishes? You’re not frying here, just tossing to coat, so tread lightly on the oil, then use sea salt, garlic, and rosemary to suit your tastes. 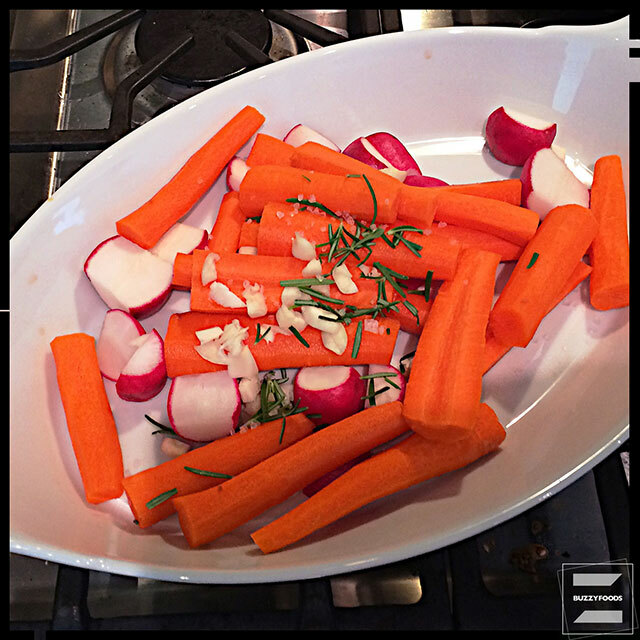 Toss the carrots, radishes, and garlic with the coconut oil, rosemary, and sea salt in a roasting dish, then pop into the hot oven for one hour, stirring every 20 minutes. That’s it, fresh roasted veggies, a little bit sweet from the coconut oil, and a little bit tangy from the salt and garlic. Nice and, I think, nicely different. So, mebbe they weren’t the prettiest dish on the table the next day, they were still tasty, and still perfectly fine to eat (gluten-free, nightshade-free, stuff like that), whether you have dietary restrictions or not. 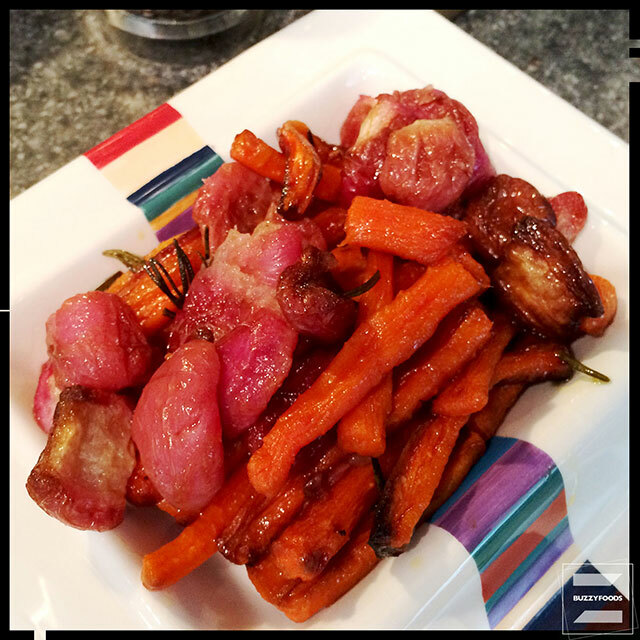 This entry was posted in Veggies and tagged carrots, Coconut Oil, garlic, Paleo, Radishes, Roasted Carrots, Roasted Veggies, rosemary. Bookmark the permalink.